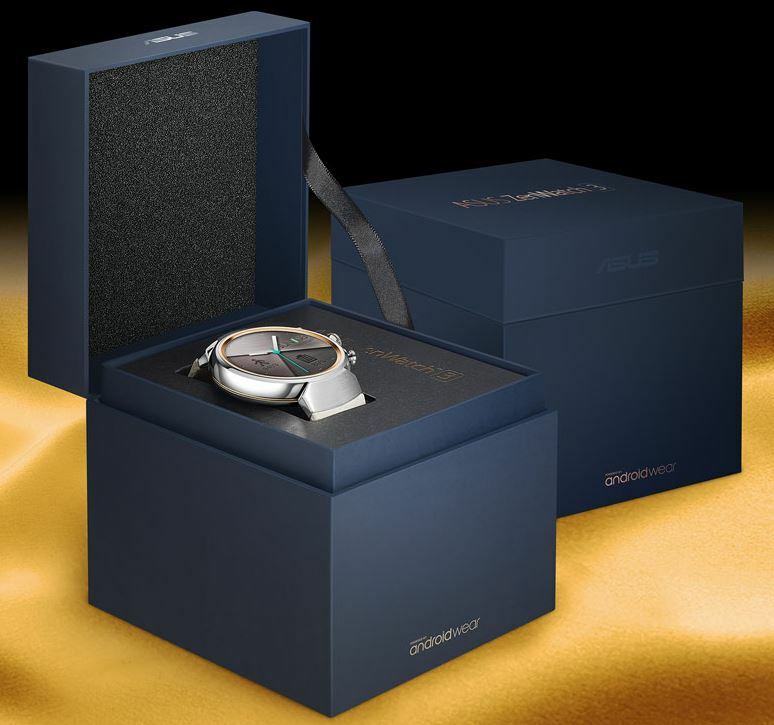 Unveiled at this year’s popular trade show IFA, ASUS was looking to show off their latest smartwatch – the ZenWatch 3. After a somewhat disappointing ZenWatch 2, the ZenWatch 3 comes as a much-needed successor for ASUS to stake their claim in the market. The ZenWatch 2 was a passable watch at a good price, but simply couldn’t compete with products produced by established manufacturers like Apple, Samsung of Fossil. The ZenWatch 3 could do one of two things for ASUS: Either firmly cement them in the bargain-brand smartwatch category, or thrust them into competing with the big dogs. Let’s take a look and see how they did. From the moment you set eyes on it, it’s clear that ASUS wants you to take the ZenWatch 3 seriously. It comes in a fashionably crafted box with stylish hold, giving it the impression of a truly luxurious watch. Once the box is opened, you’ll be in awe. With design a top priority and some serious competition in their path, the ZenWatch 3 offers an incredible aesthetic upgrade over the previous model. They ditched the rectangular face (something everyone should be doing at this point) and threw in a high-resolution display that is simply breathtaking. 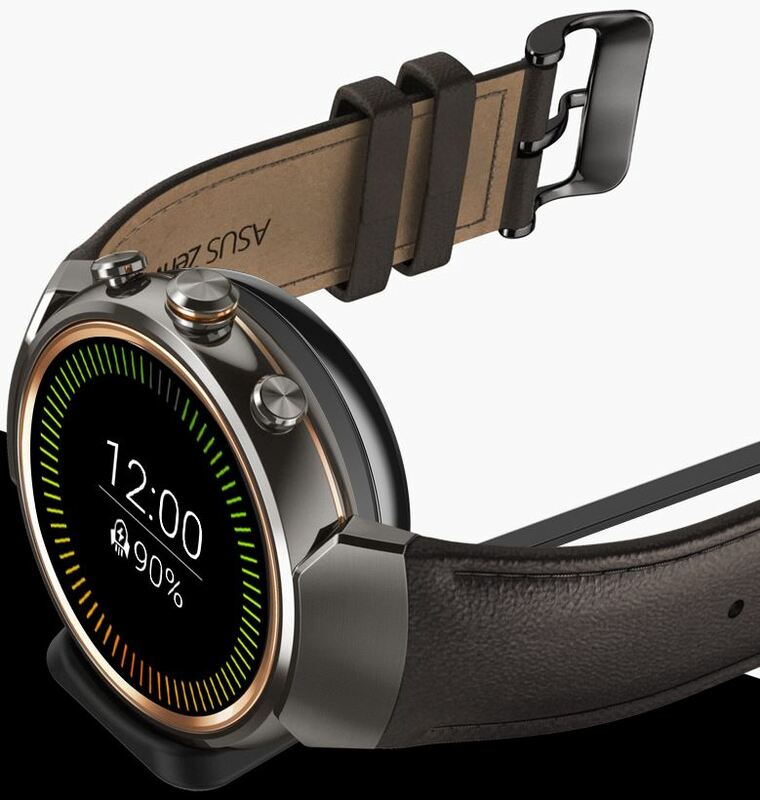 The design is definitely the most radical change ASUS has made from the ZenWatch 2. They opted for a much more refined look that reflects the classic mechanical watch. Claiming to have taken their inspiration from the annual solar eclipse, the ZenWatch 3 features a round face with an attractive metal bezel. The watch comes in three appealing colors, Gunmetal, Silver, or Rose Gold. Although Casio beat them to the punch with this design, they’re one of the first watches to include 3 physical buttons; yet another tip of the hat to the classic look of the mechanical watch. 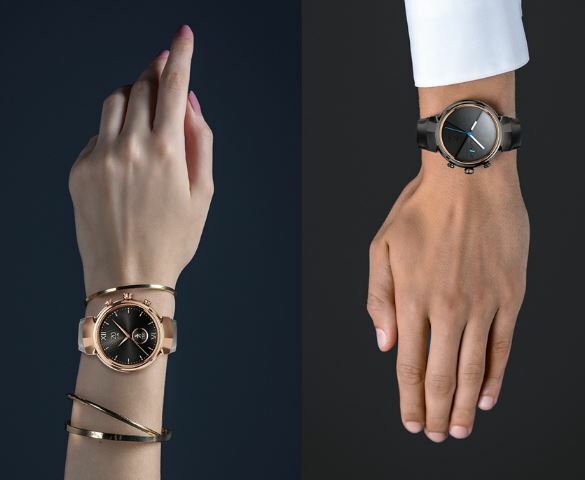 While some users are divided on whether the inclusion of the rose gold bezel on all color options enhances or detracts from the overall look, there is no doubt that the ZenWatch 3 is significantly more appealing from the outside than its predecessor. Unlike the ZenWatch 2 which was disappointingly cheap feeling, ASUS took no shortcuts with the ZenWatch 3. 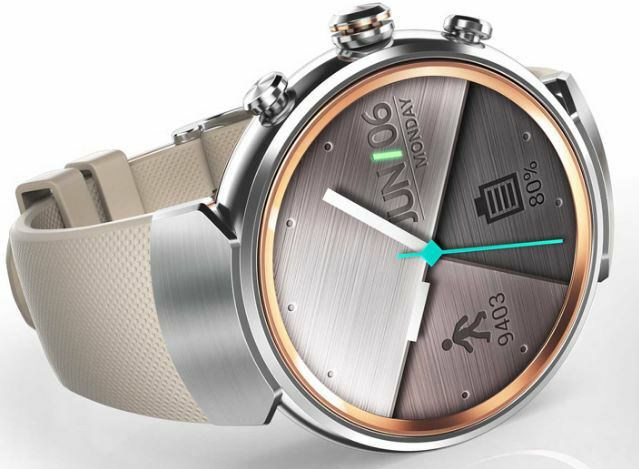 This is a smartwatch that is built to look good and last long. With an IP67 certification, the ZenWatch 3 is resistant to water and dust, meaning it can hold up to day to day wear and tear better than a lot of more expensive options out there. No one wants to have to treat their watch like a purebred show-cat, and ASUS clearly understands that. Craftsmanship and durability were both significant when ASUS designed the ZenWatch 3. The watch is equal parts luxury and strength. Built with 2.5D gorilla glass, the ZenWatch 3 can withstand most drops without a single crack or scuff in the glass. It’s built with jewelry grade 316L stainless steel, so that same drop won’t affect the look or quality of the encasing either. In fact, the steel is cold forged, making it 82% stronger than traditional steel. Finally, the star of the show – the ZenWatch 3’s rose gold “solar eclipse” bezel, is diamond cut for a sharp, sophisticated look that perfectly complements the strength and durability of the rest of the watch. The ZenWatch 3 strikes the perfect balance between delicate luxury and top quality strength and durability. 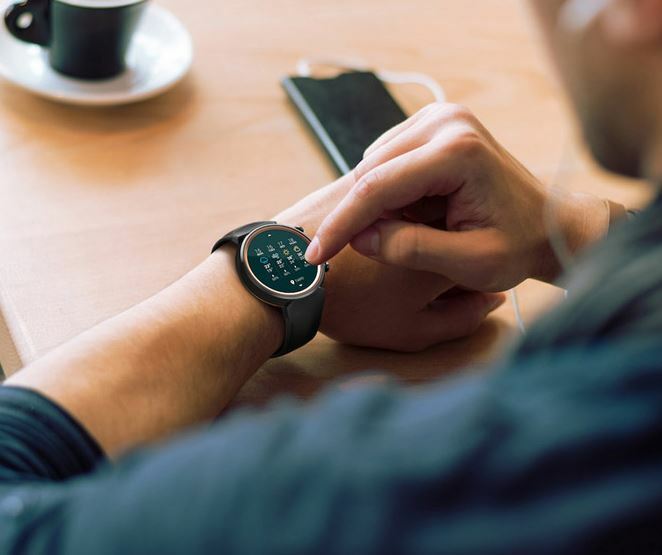 Smartwatches are all about functionality, so regardless of where they stand in terms of durability and design, it takes some high functioning technology to really capture the attention of smartwatch users. Thankfully, the ZenWatch 3 is no disappointment in this category. It’s as customizable and useful a watch as any. The ZenWatch 3 uses Qualcomm’s Snapdragon Wear 2100 to run Android Wear, and its performance is excellent. It also comes with a smartphone app that acts as a smart assistant, allowing you to receive messages, check the weather, and much more. You can also use this feature to completely customize the look of your watch. The ZenWatch 3 comes with 6 custom designed themes and over 50 exclusive watch faces that include themes like luxury, digital, simplicity, sport, urban and youth. If none of those appeal to you, you can use the app to design your own. This results in a truly customizable watch that you can use to reflect your individuality. One of the most popular features of smartwatches are their fitness tracking platforms. ASUS admits this feature lacks a heart rate monitor, but it is capable of storing heart rate data. Plus, it has much more to offer beyond that. Their fitness platform, called “ZenFit,” is similar to the Motorola 360 Sport in that it works with Google Fit to create a hub for your health and fitness data. It includes a step count, which ASUS claims has 95% precision and accuracy. It can also track sleep and certain callisthenic exercises like push-ups, sit ups and running. There is no doubt the ZenWatch 3 is as a good a smartwatch as any for functionality. The battery is one of the huge drawback of smartwatches, especially for fans of the traditional watch that require no regular charging. Having a solid battery is something smartwatch developers continue to struggle with, though there have been vast improvements over the years. ASUS started with a couple proven basics to optimize the battery life of the ZenWatch 3. It comes with an Eco Mode, which extends battery life by 200% at the click of a button. 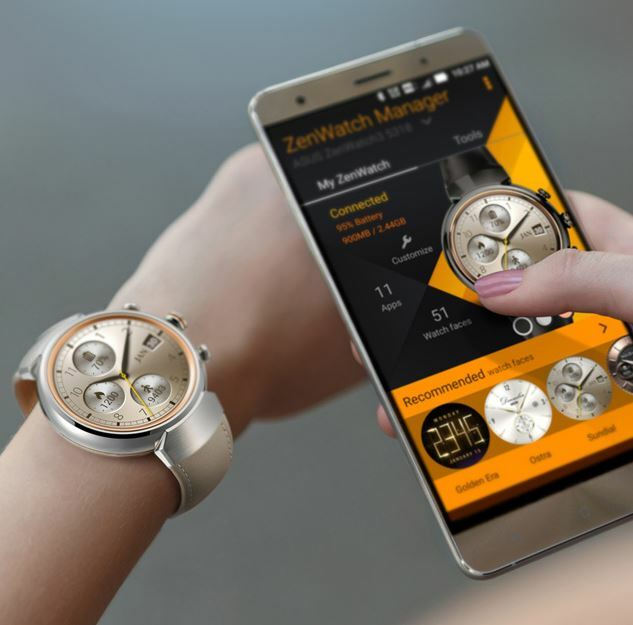 Plus, the ZenWatch 3 uses the latest Qualcomm Snapdragon Wear 2100 processor which consumes 25% less energy than previous Snapdragon 400 processor. Most impressive, the ZenWatch 3 also comes with an awesome HyperCharge feature that allows you to go from 0 to 60% charge in only 15 minutes. This features is not only extremely convenient, but also easy and fast for on the go users. The real conundrum with the battery life of a smartwatch is that the more functional and useful your watch, the greater hit to your battery life. Since ASUS clearly didn’t make any sacrifices in the way of functionality, they came up with an excellent solution to compensate for battery life loss. The ZenWatch 3 comes with a magnetic charger, which you can clip to the back of the watch for an instant 40% increase in battery life without detracting from the look of your watch. Combined with the HyperCharge feature, the ZenWatch is essentially capable of providing an extra full battery charge in no time, so you can get the most out of every feature without having to worry about draining the battery. Comfort is an important feature of any smartwatch, especially when you consider the fitness tracking feature that are useless if you don’t feel comfortable wearing your watch at the gym. The ZenWatch 3 is larger than some smartwatches, but ASUS definitely took comfort into consideration. The ZenWatch 3 comes with 2 strap options, either leather or silicon. The silicon straps are perfect for when you’re exercising. They are sporty and malleable, so you can commit to your exercise without constantly adjusting your watch. While the watch is clearly not optimized for regular, vigorous workouts, it does the trick for the kinds of activity its ZenFit feature is designed to monitor. For everyday wear, the leather strap is as nice as any. It is comfortable, durable, and stylish. The watch is also built to be lightweight from the bezel to the straps so it doesn’t feel like you’re hauling around a 4lb weight on your wrist. If you want a watch you can use during frequent, vigorous activity, there are probably better watches out there. But for a smartwatch that gives you added benefit of a fitness tracking platform, the ZenWatch 3 is certainly no slouch. ASUS has yet to seriously compete with brands like Apple and Samsung, but they also come with a much smaller price tag. The ZenWatch 2 is known for being a good value watch, but the price came at the cost of its design and functionality. 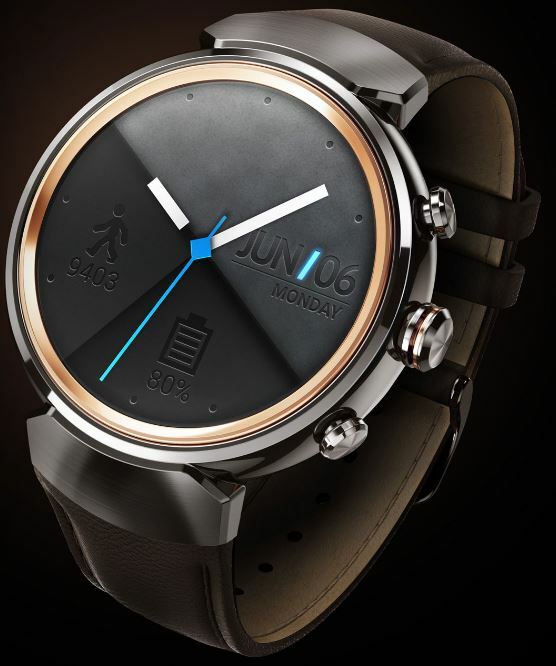 However, with the ZenWatch 3, ASUS has proven they intend to be taken seriously on the smartwatch market. ASUS scrapped the poor design of the ZenWatch 2 and made a much more appealing, extremely functional smartwatch. This makes the ZenWatch 3 a hard watch to compete with for anyone on the market for a mid-range product. The ZenWatch 3 is by all accounts an excellent smartwatch. You get all the best features of a smartwatch for a fraction of the cost of premium brands, plus it boasts an exceptional battery life. It also includes some special goodies, such as a charging dock, watch stand and the portable magnetic charger, giving you even more bang for your buck. Redesigning the face of the ZenWatch really worked in ASUS’ favor, and the result is a premium looking watch with a mid-range price tag. Hard critics might find it hard to compete with Huawei, Fossil, and LG design-wise, but the ZenWatch 3 poses a challenge to that. Forget everything you know about the ZenWatch 2, because this is the kind of product we image ASUS has been wanting to produce all along.